The profile of Devices for Dignity will receive a significant boost over the coming months with its role at a number of key healthcare related events around the UK. The Medilink Healthcare Business Awards, held at the Cutlers’ Hall, Sheffield, celebrated the achievements of the leading healthcare businesses in Yorkshire and Humber. Professor Tindale will take part in the Later Life: Engaged in Older Age Conference, at the Barbican, London, at the end of January as part of a Panel Debate. The debate, “The impact of demographic change on public services: How do we make sure we don’t fail the Baby Boomers?”, will explore the most pressing demographic change facing the UK at the moment (and into the future) – that most of us will live for at least a decade longer than was expected when we were born. Earlier in the month, Dr Nicola Heron, Programme Manager at D4D, will present at Assist UK’s National Conference, ‘Personal Independence Payments’, held at Heritage Motor Centre, Warwickshire. Dr Heron’s presentation will look at assistive technologies delivering innovative solutions to support patients with long term conditions and preserving their dignity and independence. Earlier this year, D4D announced that it had entered a partnership with the charity Assist UK as part of its commitment to Patient and Public Involvement. 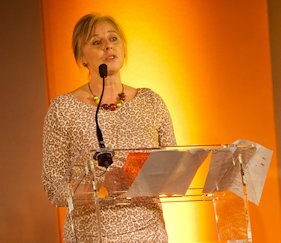 Professor Wendy Tindale said: “To be involved in so many high level events around the UK is a fantastic platform for us to communicate the important work we are doing at D4D.